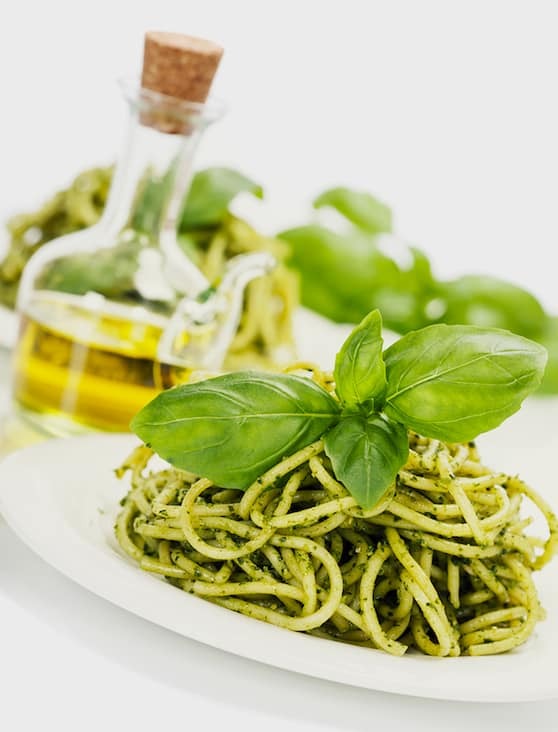 Spinach, in combination with basil, makes a less intensely-flavored pesto sauce. Some may enjoy this milder flavor, whether served traditionally on pasta, or as a topping for potatoes or an offbeat dressing for potato salad, on grains, or as a garnish for soup. Combine all the ingredients except the salt and pepper in a food processor and pulse on and off until the mixture is a coarse, even puree. 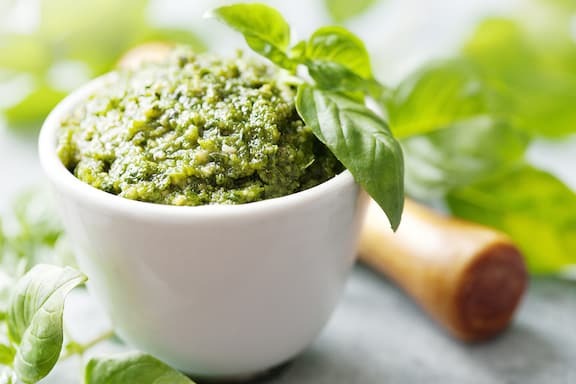 You may need to add the spinach in batches if your processor has a small or medium-sized container. Stop the machine and season gently with salt and pepper; taste to see if you’d like to add more lemon juice. Serve at once — stir into hot cooked pasta or use as suggested above in the headnote.